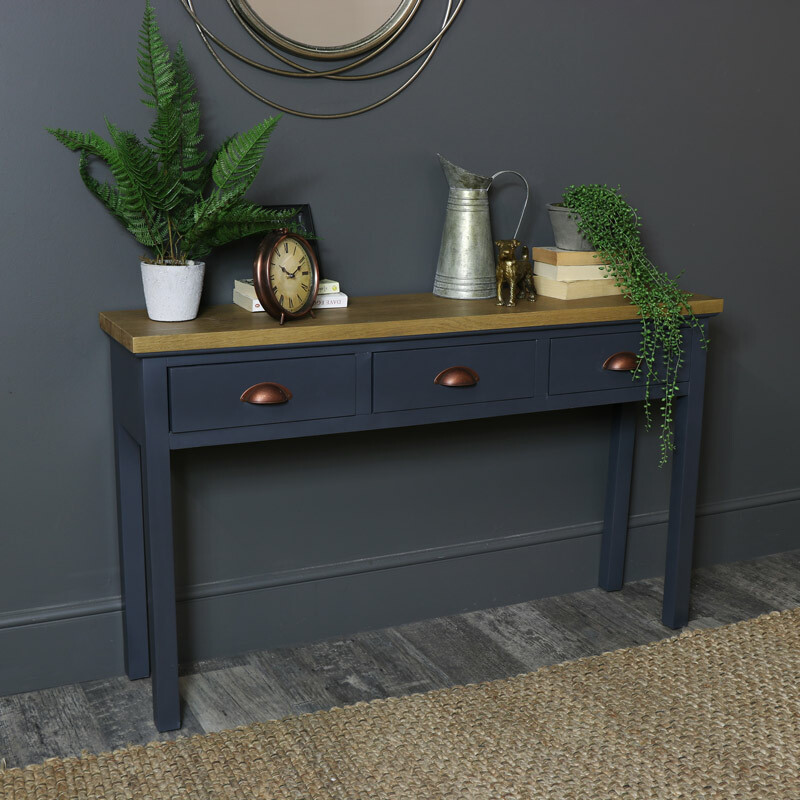 Add a rustic and country farmhouse feel to your home decor with our large console table. With 3 drawers offering a practical storage solution it is perfect for the living room. 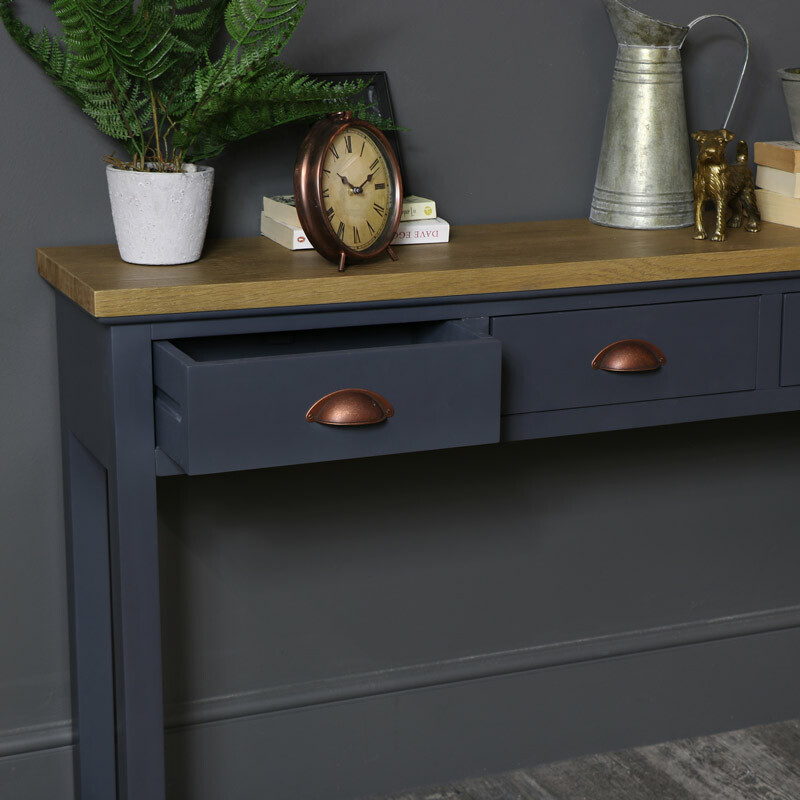 Doubling as an ideal hall table our grey painted, solid table arrives fully assembled and would suit even the kitchen and the dining room. 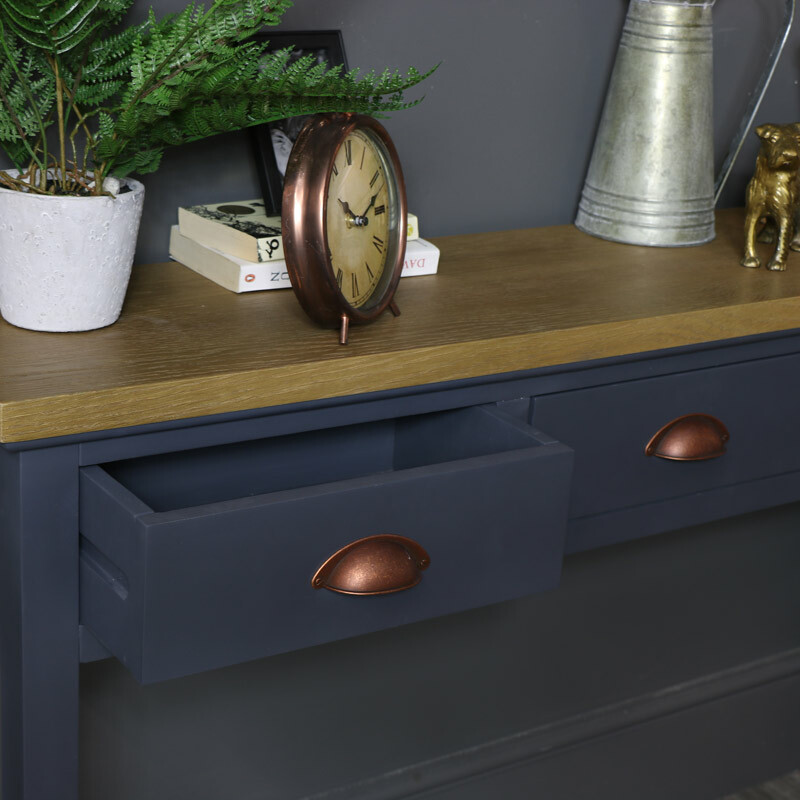 With other items for the home including a wardrobe and chest of drawers the Grayson range can help you complete your desired interior. 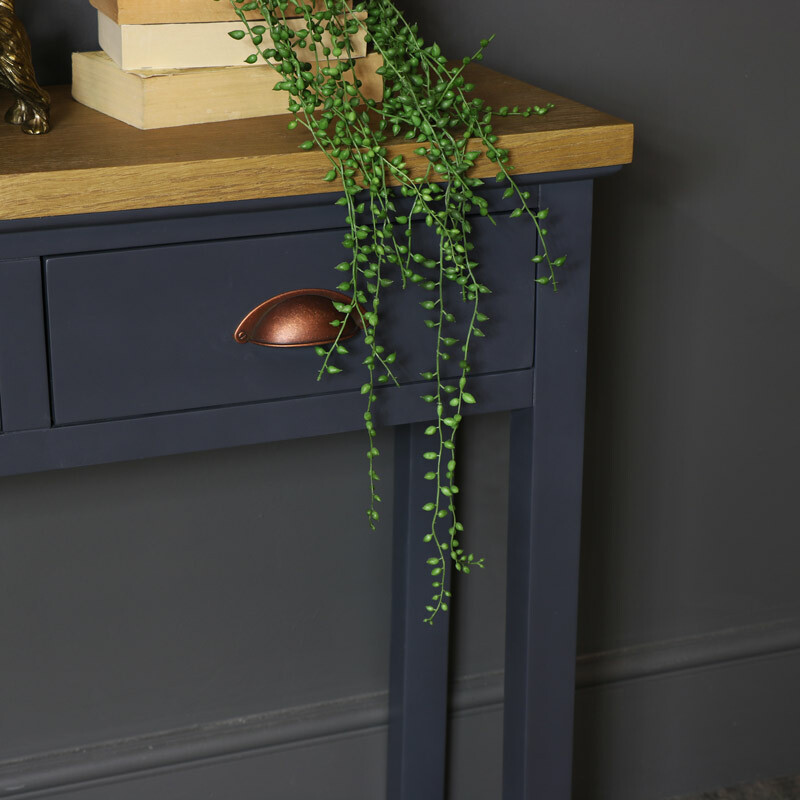 Constructed from wood and fully assembled, the console table is painted in a dark grey with a slate blue undertone, the top comes in a contrasting natural wood top and copper cup handles on the drawers.